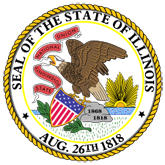 Press Release: The Illinois Department of Employment Security (IDES) announced today that the unemployment rate in June decreased 0.2 percentage points to 6.2 percent and nonfarm payrolls decreased by -2,200 jobs, based on preliminary data released by the U.S. Bureau of Labor Statistics (BLS) and IDES. 1. More Illinoisans Leave Labor Force (16-0542-IDES_More_Illinoisans_Leave_Labor_Force.pdf).